The new Media Arts, Data, and Design (MADD) Center soft-opened on February 25. The MADD Center combines five new and existing academic centers to promote resource sharing between different disciplines and expand the technological resources available to students and faculty. In addition to the laboratories, the center also provides studio and study spaces open to all students and faculty. “The MADD Center is a resource for all of campus—faculty, students, and staff—where users can gain access to a broad range of tools for exploring the intersections of art, design, science, and technology,” David Wolf, senior director of arts technologies at the Logan Center, told The Maroon via e-mail. “Whether one’s interests are in digital fabrication, game design, software development, or data visualization, MADD provides the means for engaging in research, scholarship, and creative experimentation,” he added. Wolf has been tasked with bringing the operating models of the Logan Center to the management of the space and technology featured in the new MADD Center. 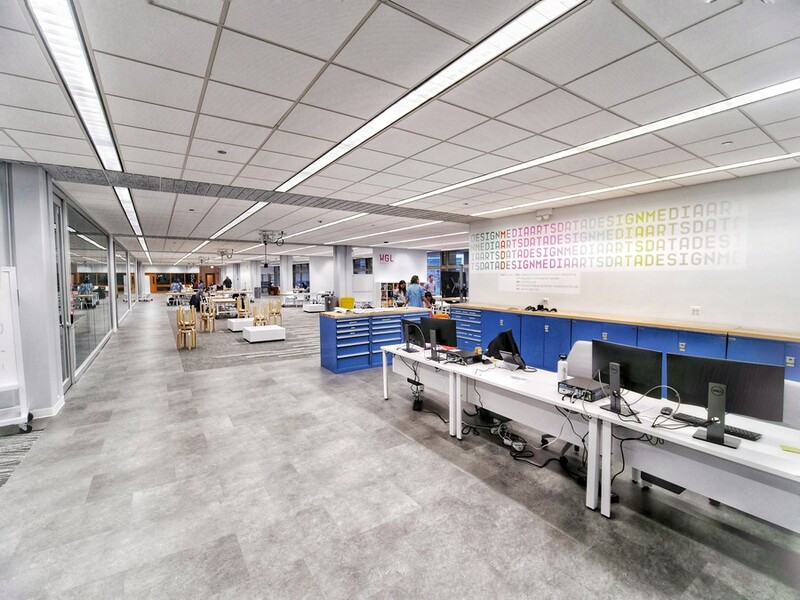 The Center itself is the result of extensive dialogue between faculty and University administration on the need for integration in the fields of design and technology. “The group [of faculty and administration] identified a set of resources, labs, and facilities that were developing in parallel, and felt that by bringing them together under the rubric of media and design, their commonalities could be amplified,” Wolf said. According to an e-mail release by the University, the project is a collaboration between the College, Division of Humanities, Division of Physical Sciences, UChicago Arts, and the University Library. The MADD Center includes the Computer Science Instructional Laboratory (CSIL), which provides hardware and software support for eduFcation in computer science; the Hack Arts Lab, a facility for digital fabrication and prototyping in the arts; the Research Computing Center Visualization Lab (RCC), a new facility for data visualization technology; and the University Library’s new Geographical Information Systems (GIS) Hub, which offers access to geographical information systems software and is staffed by librarians trained to assist students and faculty on geospatial research projects. The center will also feature the new Weston Game Lab, which offers resources to develop analog, digital, virtual, and online games. The lab is established through a gift from Shellwyn Weston and Bradford Weston (J.D. ’77) to the University. In addition to housing the laboratories and study spaces, the MADD Center will also provide media resources, including virtual reality facilities, for the new media arts and design minor offered in the College. Studio spaces will be used as classrooms for the course Media Aesthetics starting spring quarter of 2019. The MADD center will hold an open house from 12–6 p.m. on Friday, March 8, for all interested students, faculty, and community members.